*After payment, mobile ticket will be sent by email. Please show the driver the ticket. Please check the below rates and click the ‘send’ button after filling out the questions. – You are able to reserve 2 weeks before using. Shuttle runs from 10th Dec.2017. – The fare for children under 11 years and above 12 years is for adult price. Children under 24 months are free. – Bus fare is including our booking service charge. 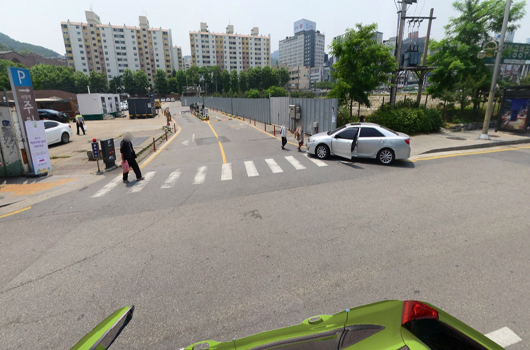 Incheon International Airport 1.Bus Stop point : ICN airport arrival gate 8 (1st floor)- please cross street from Gate 8, there will be ski bus stop 9C. – Children under 24 months are free and more than 24months are same rate with adult. – booking service fee, USD10 per person/per way. *Boarding and off area : Welcome center of Alpensia Holiday Inn & Suite Condo. – You MUST bring the booking confirmation sheet with “BAR CODE” and present it to the ski tour on tour date. 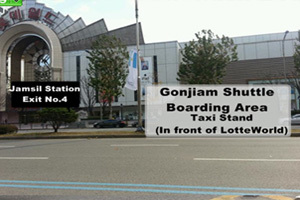 12:30 (Welcome center) Sinchon station, Myeongdong station, Sports complex station. 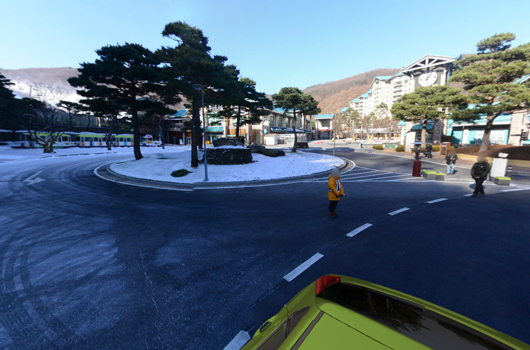 16:30 (Welcome center) Sinchon station, Myeongdong station, Sports complex station. *Boarding and off area : Purple bus parking lot. 13:00 Sinchon station, Myeongdong station, Sports complex station. 17:00 Sinchon station, Myeongdong station, Sports complex station. – booking service fee, USD30 per person/per way.